If you’re in need of a major moisture kick, you’ve come to the right place. Jojoba oil has extensive benefits for our hair and skin regardless of the fact that it derives from the areas lacking moisture. Ironically, the jojoba plant is native to desert areas such as Arizona, California, and Mexico and learned how to survive in very extreme heat. (Not only survive but flourish and thrive!) Centuries ago this tree was used to treat wounds and sores by the ancient Native American’s, forming an important role in their culture. 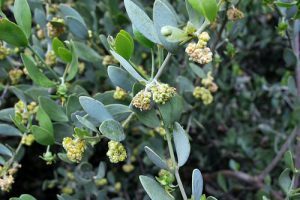 The oil of the jojoba trees was used as a natural alternative for sperm whale oil which was only banned in the early ’70s. Nowadays it’s frequently used in the manufacture of cosmetics products (among many others) – which is great news because it’s been classified as a natural and renewable source of high-quality oil. This liquid plant wax has been used as a natural beauty ingredient for many years, and modern beauty is finally catching on. Why would you use chemical alternatives when you could naturally nourish your skin from the root of the problem? That’s where jojoba oil comes in! If you haven’t heard of jojoba oil, I can assure you that your life is about to change for the better. The jojoba is known in Latin as simmondsia chenensis, and its seeds are full of oil. (Well, not literally full, but they may as well be with an oil content as high as 50%!) In its unrefined and untreated form, the jojoba oil is beige or brown and has a nutty aroma. Unlike almost any other seeds that occur in nature, they contain a rich amount of liquid, wax-like esters that closely resemble human sebum oil. They have the unique ability to create a hydrating defense barrier on the epidermis. This is what makes jojoba oil so useful in hair and skin care products. Because it usually may lose its odor and color, but not its health benefits, jojoba oil is considered to be a super substance. It’s also a great natural preservative and tends to have a longer natural shelf-life than most other oils such as canola, almond or safflower oil – making it ideal for inclusion in various products or simply for use on its own. 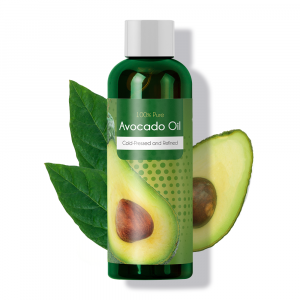 In its pure, organic form this oil is high in Vitamin E and B, as well as various other nourishing properties such as the fact that it’s noncomedogenic. You can’t go wrong with a few drops of this oil. Part of what makes the jojoba oil so unique is that it resembles our own natural oil which is secreted by our body, the sebum. Sebum is produced under the surface of the skin and contributes to preserving our skins youthfulness. The sebum also acts as a barrier between our body and the external world. Because it mimics the effects of our sebum, jojoba is ideal for hydrating and nourishing our skin and scalp. People with low production of sebum – which can occur due to illness, age or even hormonal imbalance– can use jojoba to boost the skins natural oil production. Our hair is rich in mono-saturated fats (roughly 98% to be exact) which means that it can actively penetrate the hair follicles and nourish them from within. Because of this, jojoba oil is ideal to nourish the hair and mimic the body’s sebum production. This means you get a more complete and lasting form of hydration as well as reducing the effects of hygral fatigue – the result of hair follicles swelling and shrinking after being washed which can lead to weakened hair follicles over time. I prefer using jojoba oil in my own DIY Shampoo recipes as I have complete control over all the ingredients that go into the recipe, and can, therefore, create something that is specifically suited to my hair type. However, if you’re not one to try DIY recipes, but still want the additional protection and hydrating qualities that jojoba can offer for your hair, simply add a few drops of the oil to your shampoo or conditioner and you’ll get similar effects. Your hair will be hydrated from within in no time. Companies use jojoba in skin lotions, facial creams, foot remedies, and scalp moisturizers. Jojoba has anti-inflammatory and antibacterial properties, which is why it’s considered so good for the skin. It is ideal for treating acne, pimples, and for smoothing out lines or scars. When used frequently, it can aid in the skin and hair’s long-term health. 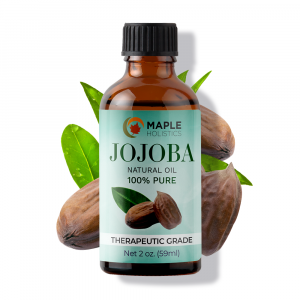 For those of us that suffer from dry hair or scalp, hair loss, and other kinds of hair damage, jojoba oil can work wonders. 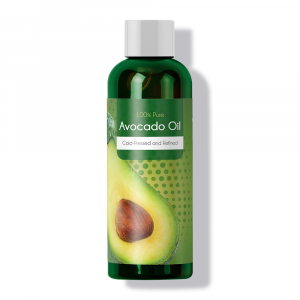 As if that wasn’t enough, it also retains your hairs natural shine and promotes its growth. One of the best qualities of jojoba oil for the skin is the fact that it contains a rich amount of vitamin E in its makeup. Vitamin E is a highly potent natural antioxidant that helps to flush out toxins and free radicals which cause a great deal of damage to our bodies and can speed up the signs of aging. By applying jojoba oil to the surface of our skin we can flush out free radicals before they’re able to cause any damage. The rich anti-inflammatory and antibacterial properties of the oil also make it ideal for treating issues such as acne, minor wounds, sores, rashes, and fungal infections. The oil actively works to inhibit the growth of bacteria thus reversing any infections you may suffer from and ultimately speeding up the healing process. 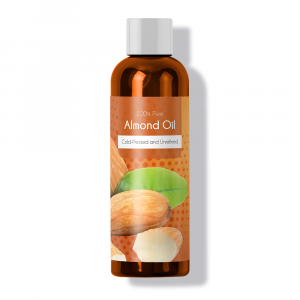 This makes jojoba oil a must-have for anyone who suffers from particularly dry or even oily skin as it helps to regulate the sebum production on the surface of the skin. The fact that it doesn’t dry out your skin makes it ideal for all skin types! If you still think that Jojoba oil isn’t for you, bear with me. Jojoba isn’t designed only for those suffering from some sort of condition. It’s there for the taking and using, even if you’re completely healthy. You can use it as a cleanser, makeup remover, and skin softener. Men and women use it when shaving, before and after, to preempt any itchiness, redness, or other symptoms of irritation which may ensue. On the flip side, men who opt not to shave, and instead are looking to grow out their facial hair, can benefit from beard oils containing jojoba as a means of conditioning and cleansing their beards. You literally can’t go wrong with a few drops of this golden oil. Jojoba oil is also ideal for preventing the damaging effects that chlorine can have on your skin and is best applied (roughly 4-5 drops along with coconut or almond oil) before swimming in a pool that contains chlorine. 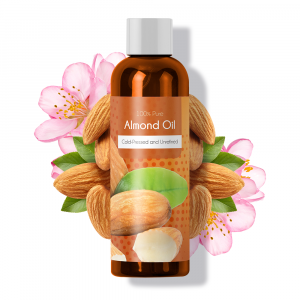 It helps to prevent the harsh chemicals from stripping your skin of the natural oils and proteins that keep it hydrated and can help to keep your skin smooth and healthy. For this reason, Jojoba oil has long been used as a natural sunburn reliever and can help to reduce the pain associated with a sunburn. It can also be used as a natural lip balm to lock moisture into the lips without the waxy feel you get from some heavier balms. This oil is basically an all-around moisturizer! 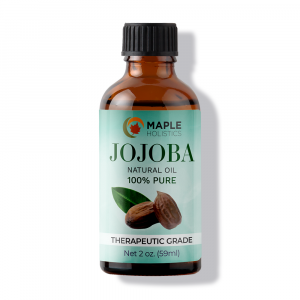 When it comes to oils jojoba oil is pretty up there on the “Is it safe?” list. There are no harmful side effects, and very few individuals are allergic or otherwise sensitive to it. However, I would recommend that you patch test any essential oils on the surface of your skin for 2 – 3 days in order to test whether you are allergic or not. It’s better to be safe than sorry and everyone’s skin sensitivities are different. The truth is that it’s a very mild oil, and the fact that it can be applied directly to the face without reaction means that it’s unlikely to harm you. While essential oils are natural products that are free from chemical additives, it’s usually recommended that you avoid using them during pregnancy (or consult a doctor before doing so) as well as on children under the age of 8. This is mainly because of the potent chemical content of the essential oil can still affect the hormone balance of young children and may cause knock-on effects in terms of their general health and development. But this is in relation to essential oils in general, not jojoba oil specifically. Overall, jojoba oil is safe for use on your hair and skin, and the benefits are undeniable! It’s easy to see why so many people are making a lot of noise about this amazing natural product. While the effects of the jojoba seed have been known to us for centuries, they have seen a renaissance in recent times that has brought it back into the limelight – and the timing couldn’t have been better. The reality is that more and more people are waking up to the fact that a lot of the products that we use on a regular basis are loaded with chemical additives. This means that many have turned to nature as a possible solution or a healthier alternative. And as per usual, nature always seems to have a way of providing – given that you know where to look. Why wouldn’t you treat your concern from the root cause, rather than just chemically covering up the symptoms? So instead of bathing yourself in chemicals and eating chemically laden foods, why not switch to a natural lifestyle and cut as many of these out of your life as possible? You’ll notice the differences in virtually no time at all. When it comes to jojoba oil it’s no different. Whether you need a hydration boost, to balance your body’s sebum production or just to help your hair grow, jojoba oil has got you covered from the inside out!